Pictured above: Crabs (Paralomis sp. and Munida sp.) as well as a sponge (Heterochone calyx) and a coral (Paragorgia arborea) observed at Sur Ridge. A new field guide carefully documents every living organism found on the stunning Sur Ridge, 800 meters below the sea surface. Vibrant pink and yellow sponges and corals enliven this otherwise deep, dark environment. Scientists from MBARI and the Monterey Bay National Marine Sanctuary first discovered this rich ecosystem, just 35 kilometers off the coast of Big Sur, in December 2013. Since then, the researchers, led by MBARI Senior Scientist Jim Barry, have revisited Sur Ridge five times to better understand the distribution and age of sponges and corals, as well as the effects of environmental factors (currents, temperature, oxygen) and biological interactions (e.g., predators) in this ecosystem. But sponges and corals are not all they have observed on this lush ridge. In 2017, the researchers published the Sur Ridge Field Guide, a comprehensive list of the numerous marine animals they have observed at Sur Ridge over the past few years. 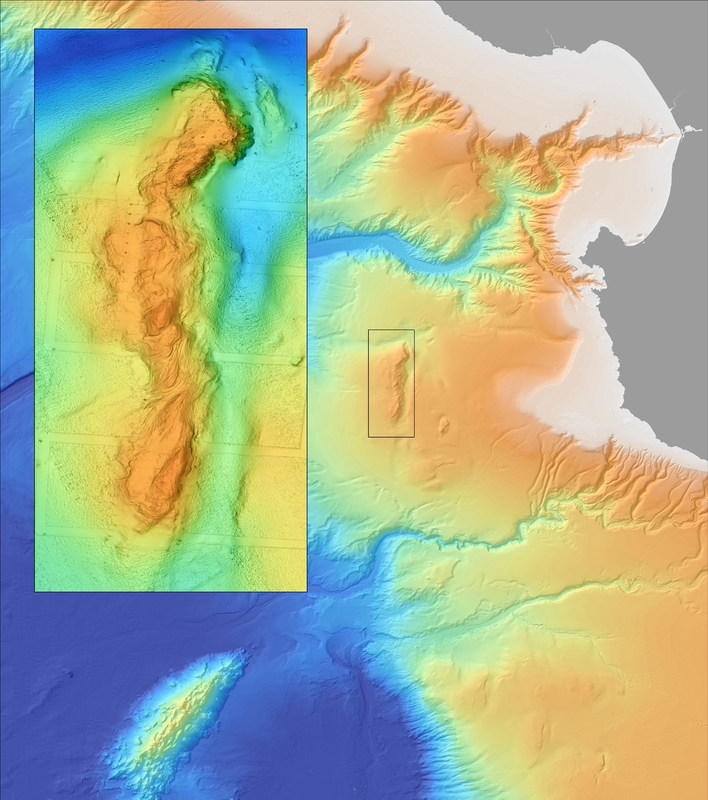 Sur Ridge, shown in the inset, is located southwest of Monterey Bay, just off the Big Sur coast. The team has conducted a total of 29 dives at Sur Ridge with remotely operated vehicle Doc Ricketts, each time recording high-definition video of marine life. Linda Kuhnz, a marine biologist in MBARI’s Video Laboratory, meticulously analyzed the video footage, identifying every animal visible and entering the observations into MBARI’s vast Video Annotation Reference System database. Burton, E.J., L.A. Kuhnz, A.P. DeVogelaere, and J.P. Barry (2017). Sur Ridge Field Guide: Monterey Bay National Marine Sanctuary. 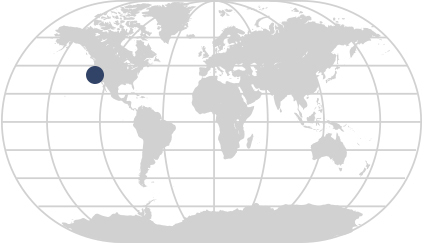 Marine Sanctuaries Conservation Series, Office of National Marine Sanctuaries:122. MBARI and sanctuary researchers combed through these observations in VARS to create the Sur Ridge Field Guide—an illustrated document available online—that includes at least 261 different species of animals observed at Sur Ridge. The purpose of this field guide is to create an inventory of benthic and midwater organisms, and associated imagery, observed at Sur Ridge to provide a baseline taxonomic characterization. It may also be useful for other deep-sea studies off California. The field guide provides a quick source of information for researchers and insight into the interrelationships between the animals in this habitat.